Portrush is set to come alive when The 148th Open - the oldest Major in the world, returns to Royal Portrush Golf Club, and your business can benefit! 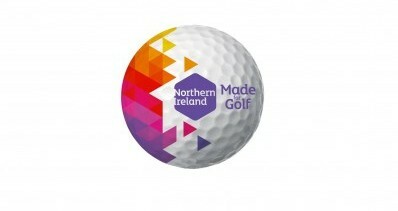 For the first time in almost 70 years, this iconic tournament will take place at Royal Portrush Golf Club. There will be an unprecedented media focus, many hundreds of thousands of spectators, a global TV audience of millions and a terrific atmosphere of celebration. We will all want to showcase Northern Ireland as a fantastic destination and to give global visitors a warm welcome. This toolkit has been developed by Causeway Coast and Glens Borough Council and Tourism NI to aid local businesses in maximising the commercial potential around The 148th Open. This famous competition is the oldest Major in the world and the only one held outside the US. It doesn’t get any bigger than that. For your local business, let’s really savour this and make the most of every opportunity it brings. This booklet gives you our top 10 tips on how you can engage with The 148th Open, before, during, and after…starting today! View or Download your copy of thetoolkit HERE. Know how to keep up to date and become an Open expert. Sign up to The Open email newsletter at www.theopen.com/news The website has concise and up-to-date information on The Open, along with interviews and announcements. Keep up-to-date by following @TheOpen on Twitter or like The Open on Facebook. You may also be interested in availing of the WorldHost Ambassador for Golf training available between January and March 2019. You are warmly invited to attend any or all of our business engagment events in the run up to The 148th Open. You can also find copies of the presentations from the January 2019 and April 2019 events at the bottom of this page. We will be keeping our businesses informed via business briefings, our business support ezine as well as on our social meida. Businesses are strongly encouraged to subscribe to our Business Support e-zine to ensure they don't miss out on important updates. Or follow Us on Facebook and Twitter. ** If you have already subscribed, the sign up system will allow you to update your preferences to include The Open.